Pararchive was recently invited to take part in the Festival of Ideas in Rusholme, Manchester. 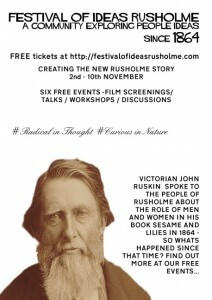 More commonly known as the Rusholme Festival of Ideas – which I will henceforth abbreviate as (RFoI) in this piece, the event provided an opportunity for local communities and people to map their ideas and perspectives of how they experienced the rapid and ongoing evolution of this key district in the city of Manchester. 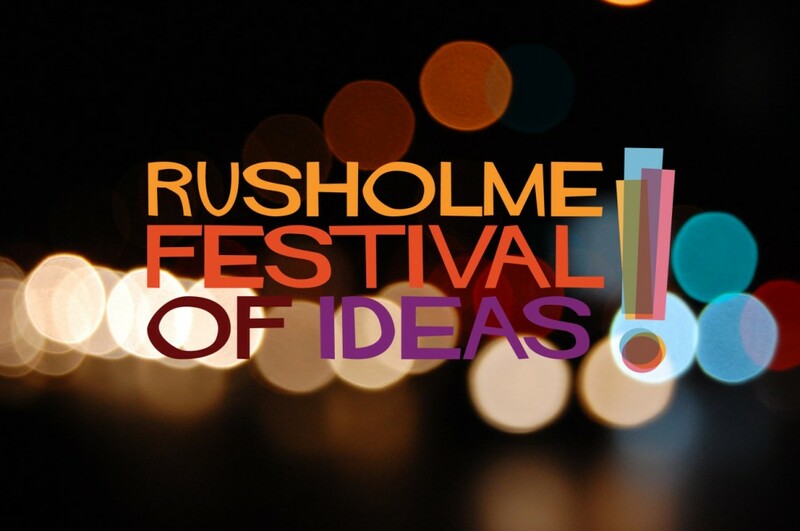 The ultimate aim was to document and celebrate the varied and wide-ranging experiences of the diverse, resident communities and people interested in defining and creating what the RFoI organisers termed as a new “Rusholme Story”. 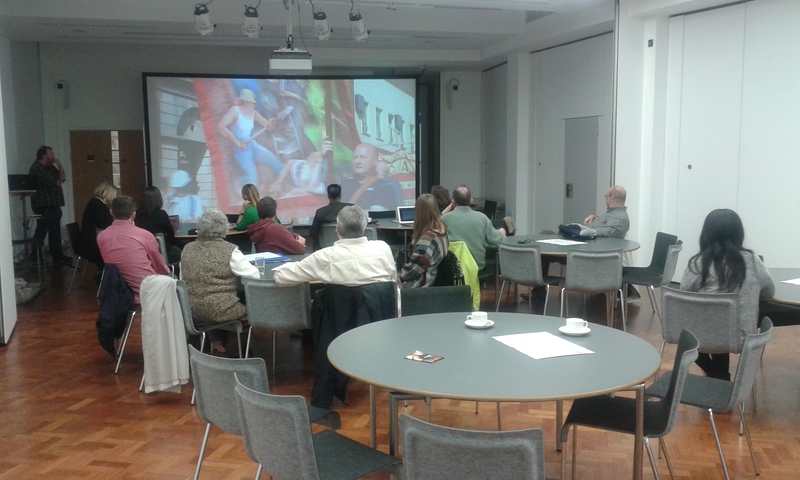 To this end, a range of activities including new film screenings, discussions and workshops were organised by RFoI convenors – Suhail Khan and Richard Browning. Additionally, hashtags like #radical in thought and #curious in nature were created to encourage the more digital savvy community members to share their experiences and ideas digitally of how they viewed their local area and what they envisaged it to become in future. Suhail and Rich invited Simon – along with Andy, Fiona and myself – to lead a workshop entitled From Rusholme with Love!. The foci of the workshop were on developing community storytelling and mapping using an array of tools and resources, on providing a fairly rare opportunity to attendees to access and handle stored archival items on the spot, and on getting attendees to meet curators of City-wide collections in Manchester. 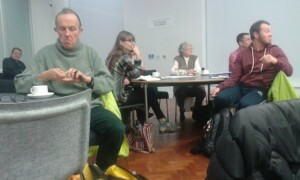 Other invited speakers included Alison and Abigail (Manchester District Music Archive), Ros (Manchester Central Library Archives+ whose talk focused particularly on the Henry Watson Music Collection), Bruce (Rusholme & Victoria Park Archive) and Sarah (Manchester Central Library Archives+ who led the archival items handling session). 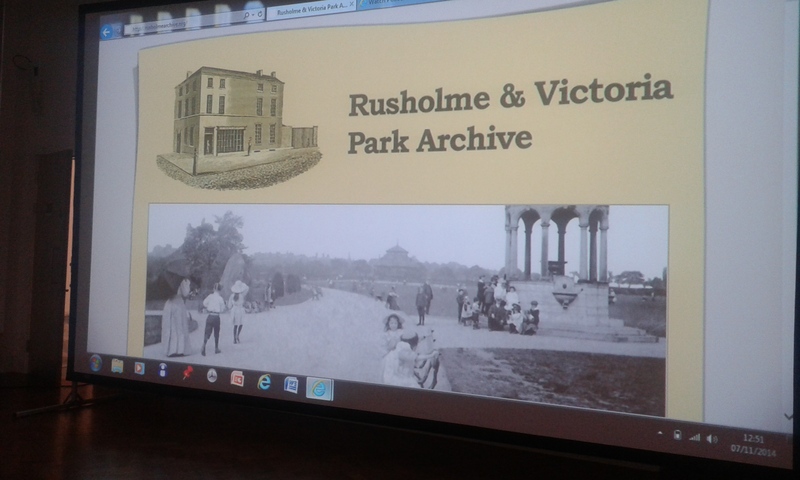 Following the handling session was a reflective discussion on how attendees envisaged making use of their private collections and ideas as well as any relevant institutional archival material to tell their own stories about Rusholme. A tour of the People’s History Museum in Manchester led by Chris concluded what was a rich and stimulating day workshop on storytelling in all its different guises. Simon opened the workshop by welcoming workshop attendees and expressing his gratitude for the invitation to talk about Pararchive. He then moved on to discuss how the significance of collecting stories from archives for community groups and the wider public to tell their stories inspired his past and present work. 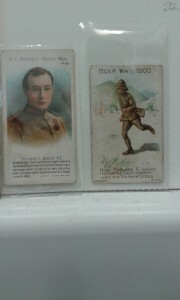 Simon provided an illustrative example, recounting the story of Charles Ward, a Leeds-born member of the Yorkshire Light Infantry, who performed an act of bravery during the Second Boer War, and subsequently became the last person to receive the Victoria Cross – the highest and most prestigious medal awarded for outstanding gallantry to British and Commonwealth military forces in combat. Charles Ward’s appearance on cigarette cards further triggered Simon’s curiosity to dig out more – the search of which led to the discovery of a silent film on a research project Simon was involved with in which Charles was interviewed. The message Simon was putting across was that the deeper one digs and engages with archival material, the higher the likelihood that one discovers interesting people, events and places that can form a basis on which to tell stories that help us understand our own past, who we are and what we might become. Simon then talked about two previous projects (The Open Archive Project and Fusion) that – in partnership with the BBC – investigated how people can connect with and make use of digital archival resources. The two projects explored how communities might take ownership of cultural and historical materials in which they are represented, and how they could use archival sources to give voice to their own stories and construct their own histories. 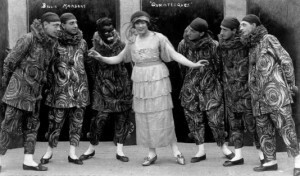 The research resulted in the joint creation of a series of films entitled Strike Stories. To give attendees a flavour of how communities can make effective use of archival material to challenge official accounts of events and to narrate such events from an experiential position, Simon screened two clips: Strike Stories: Opening the Archives on the Miners’ Strike 1984/5, Introduction (2009) and We Are Women, We Are Strong (2009). 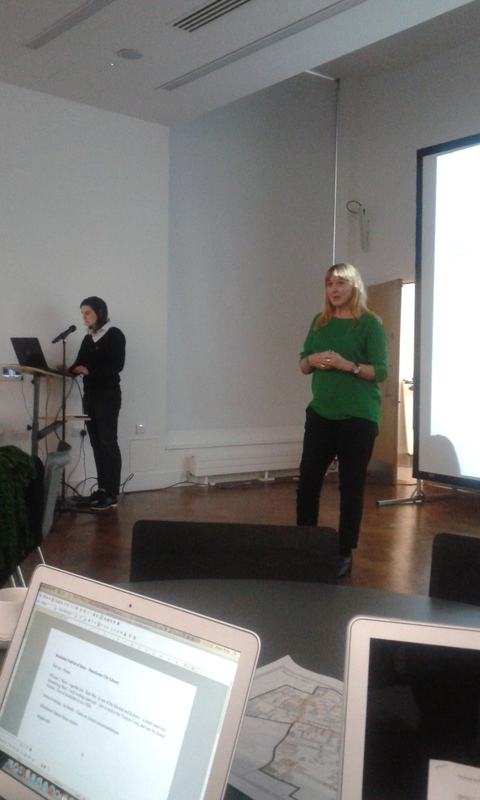 The next speakers were Alison and Abigail – Co-founder and Project Manager of the Manchester District Music Archive (MDMA) respectively – a project that was established in 2003. After a brief ice-breaking exercise which involved asking attendees to take out their mobile phones, take a photo of the person next to them and answer the question “what does the photo say?”, Alison used this brilliantly to launch her part of the talk by narrating that a significant chunk of the musical heritage of Manchester from around 1955 through to the 1990s was neither sufficiently documented nor recorded altogether by the beginning of the 2000s when MDMA was founded. At the time, Alison recounted further, there was hardly a documentary film on Manchester’s musical heritage despite the fact that there were hundreds of stories on the subject to tap into. Alison made clear that MDMA as a project was neither about recording music, nor about the music industry. Rather, MDMA was (and still is) more interested in the social context of the impact of music. Two questions asked about that context illustrated the point Alison was driving home: what sort of memories and/or connotations do people associate with particular music genres of the time and/or in the past? What kind of stories are triggered and told when people listen back to such music? A key component of the MDMA project was the degree and nature of involvement of whoever was interested in taking part. Alison stressed that the project was designed to be as open and inclusive as possible from the outset, giving people the liberty to engage as much or as little as they chose to and/or were able to. The idea was to enable people to contribute their stories and memories on their own terms without any form of imposition in order to make the project as meaningful and authentic as possible. A key benefit of this approach is that the meaning conferred upon those stories and memories is generated by their owners rather than an intermediary who might not resist the temptation of interpreting the accounts in a way that is either outright inaccurate or a way that suits the interpreter. It was interesting to learn that when Alison and her team sought financial support for their novel idea, they encountered the problem that music was not quite viewed as heritage, let alone the role of digital technology in helping to preserve its socio-historical context. Alison then wrapped up this fascinating session by noting three points: a) that Defining Me: Musical Adventures in Manchester attracted a lot of attention and generated stimulating debate, b) that MDMA finally obtained HLF funding in 2013 – the year that it marked its tenth anniversary, and c) that part of that funding made possible the new iteration of MDMA’s website which now also includes oral stories and that both the previous and current versions of the website have won awards as the best non-profit ventures. A number of questions were put to Alison and Abigail after their talk but I found one particularly distinctive. An attendee, who introduced himself as a storyteller, asked whether MDMA has a mechanism for tracking what happens with users’ and/or contributors’ stories? Alison explained that MDMA was very aware that contributors attached great importance to what happens to their stories and how such stories get used or retold but she pointed to the difficulty of tracking a story in the wider web environment. The ensuing discussion then revolved around a scenario where multiple versions of a story or even numerous derivations of a song were generated over time (and even across space) and how useful it can be to archive the different layers and versions of such a story or song. There was also mention of the role of veracity versus fiction and/or myth in storytelling and there seemed to be consensus that celebrating heritage and telling fictional stories were two distinct things. A lunch break then followed. 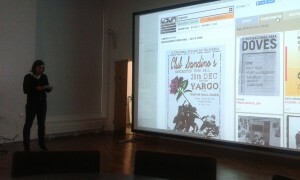 The next speaker was Ros, a Librarian at Manchester Central Library Archive. Ros narrated that the Henry Watson Music Library was one of the biggest collections of music in the UK, comprising thousands of books and individual items of music. The collection encompasses books about pop, jazz, classical, folk and world music, printed music and historically important original manuscripts such as the rare eighteenth century Italian Vivaldi Manchester Sonatas. For music lovers among the attendees, Ros noted that the library was equipped with electronic kit and a number of musical instruments to play. Ros recounted that Henry Watson – a conductor by profession with a doctorate – created the library in 1899 and ran it in Salford where he was very involved in the local music scene. At the time of his death in 1911, Watson had accumulated over 30,000 musical items. Following Ros’ talk, a brief discussion emerged in which there was mention of what became of the places in which Gentlemen’s Concerts were staged by a group of semi-professional performers from the 1760s onwards. Other historically prominent music venues mentioned included the Free Trade Hall and the Victoria Pub. 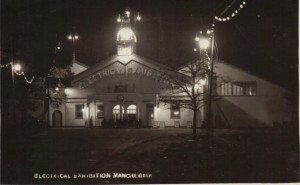 I went to the Electrical Exhibition last week & spent a very enjoyable afternoon. There was a model electrical home which had kettles boiling & frying pans on the go, all on a clean table, without a speck of dust & in the bedroom, a nice bed, warmed with radiators at the side. 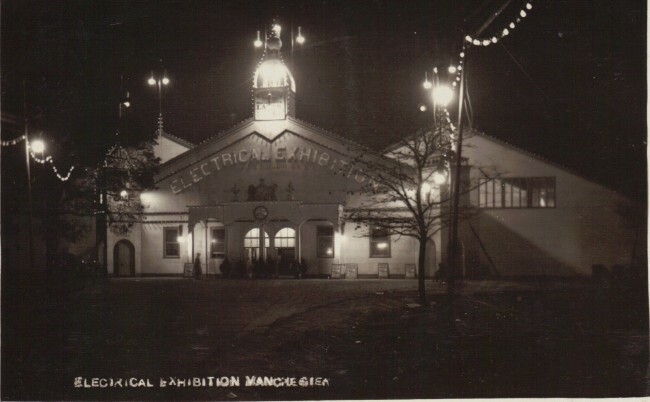 Bruce recounted that the BBC contacted him about obtaining any relevant information related to the Electrical Exhibition event because they were making a documentary about the danger of using electricity in Edwardian times. 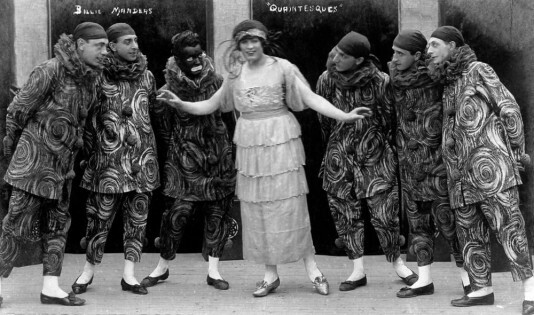 Yet another image showed a group called Billy Manders and The Quaintesques which staged drag shows that were popular in Rusholme already in the 1930s. This is vindicated by a card on RVPA’s website which makes “reference to the Quaintesques being voted the most popular holiday entertainment party in the British Isles [in 1934].” Bruce then highlighted the importance of digital platforms in aiding the preservation of heritage through putting images and the corresponding text on such platforms for people to learn about their community and social history. Bruce’s talk was followed by an archive handling session led by Sarah, a staff member at Manchester Central Library Archives+. Attendees made use of the rare opportunity to handle archival materials, browse old directories and ask questions after which attendees convened to reflect on the talks delivered until that point and to thrash out how they envisaged moving their (story) ideas forward. Simon kick-started the discussion by asking what stories attendees had, what collections they owned, and what their interests were? A number of interesting things were discussed but three contributions stood out for me in particular. The first one was made by Dorothy, a senior citizen of Irish descent who noted that she maintained a personal collection of photographs at her house in Moorside amounting to 35,000 – some with and others without metadata. Dorothy confided that she was interested in Irish photography and that her collection comprised a significant amount of topographic photographs of Manchester and elsewhere as well as a collection of images from America among other places. 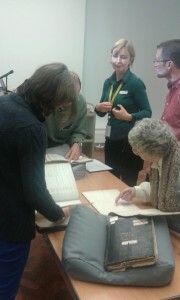 Attendees had a chance to take a look at a sample of images that Dorothy had brought along from her collection to the workshop. It was sad to hear that because Dorothy’s photographic collection is not digitised, her family –who live in Rusholme – have already indicated the collection will be disposed of when she passes away! Suhail and Rich are looking at ways to digitise Dorothy’s collection in order to avert a scenario where the collection would end up in a skip. The second contribution came from Bruce who narrated that his father kept a diary, and that thirty years after the latter’s death, the material recorded has taken on – in Bruce’s words – “a whole load of different meaning and value.” Bruce talked about the role of place and events and how they can powerfully invoke memories. Underlining this point, Bruce named the Rusholme Gardens which evoked memories of the residential quarters that housed only the “well-off”, the fact that Rusholme had no supermarkets and that local residents had to go to nearby localities to do their shopping, the old-fashioned shoe repairers who represented a fine craft that no longer exists, the old cinema in which people paid two Shillings to watch a film and so on and so forth. It is here that Suhail chipped in noting that Dorothy’s account earlier had seemed to generate a good story around the notion of connection with place and that Bruce’s narration highlighted how places and events triggered memory and can play a key role in storytelling. Suhail then asked how best to go about bringing all the stories told together and identifying where the overlaps were in an effort to build a cohesive narrative of the locality of Rusholme. Rich made the third contribution noting that whereas promoting the heritage of Rusholme was the overarching objective, it was important not to forget that the locality was a diverse community and experiencing some issues arising from the demographic changes in the last few years. Last on the programme for the day were various activities scheduled including a tour of the People’s History Museum (PHM). Suhail, Dorothy, Ron (an attendee), Fiona and myself opted to undertake the tour at PHM. We were welcomed by Chris, a curator of exhibitions and collections, who gave us an interesting account of the origins and structure of PHM before leading us through the storerooms. As we wandered through the storerooms, it became evident why PHM is formally recognised as the largest collection of political material in the UK. 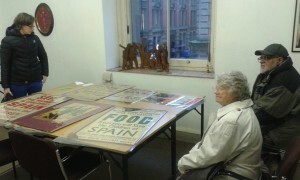 We saw objects spanning the different periods of working/labour and political history in Britain: trade union and political emblems from a diverse range of organisations, posters used in elections and all sorts of political and activist campaigns, satirical cartoons, badges and even ceramic ware. We also learnt that PHM collects contemporary material concerned with political and social themes of the day. At the end of the tour, we had a really interesting discussion about a number of things including among other things PHM’s acquisition and/or collection and digitisation policies, its status as an independent charity and remit as well as its outreach project work. 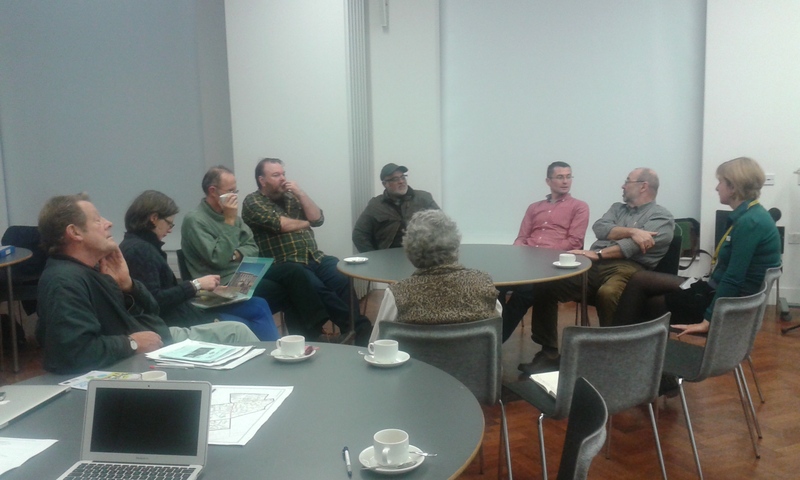 With regard to outreach work, Chris stressed that PHM was keen to hear from local communities and engage in a dialogue about how such communities could make use of PHM’s collections to facilitate community storytelling and research. 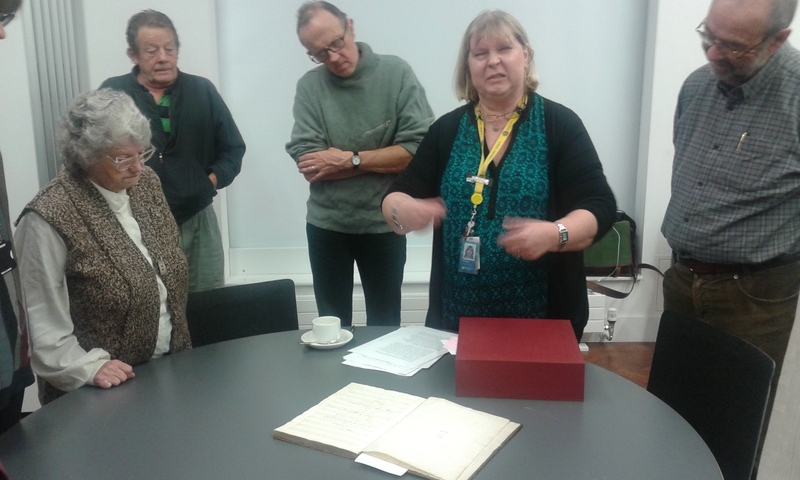 One possible form such facilitation would take, Chris noted, would be for PHM to arrange to have selected material from its collection taken into communities as opposed to members from the local communities having to come to PHM’s premises. 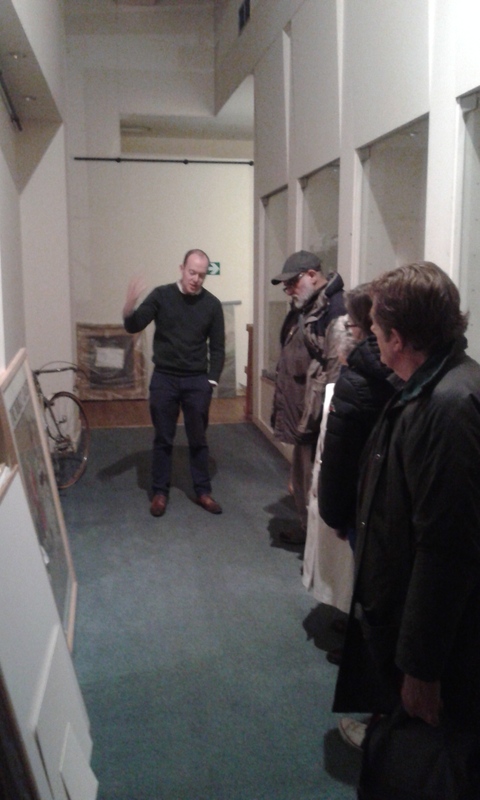 At a time when public cultural institutions, especially museums, are perceived as being intimidating and resistant to change in a way that makes them more relevant to the public as a whole, the tour provided an opportunity to broker a relationship with the local communities in Rusholme. All in all, this day workshop was very insightful and productive in terms of learning about community storytelling and meeting an array of interesting people who have a passion for and care about their heritage either as part of their work or as part of their activist and campaign work or just simply as a personal indulgence. Interesting… Thanks for sharing, Imran! 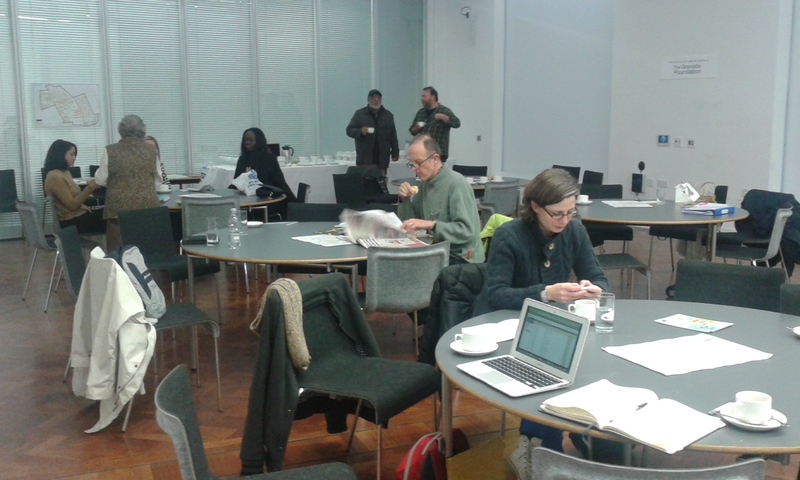 It’s a shame you weren’t able to join us for the workshop – I think you would have enjoyed it as we did!